April Fool’s Day; a brand’s opportunity to shine. With April Fool’s Day being last week, it seemed as if one trend was popular on social media: brands promoting joke products, some of them more believable than others. 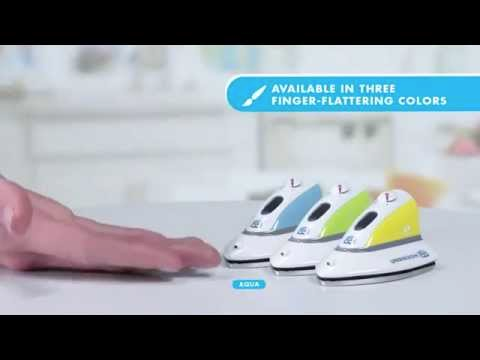 Some brands, such as Fruit of the Loom, announced their products (mini “underwear irons,” in their case) as far in advance as a week ahead, in order for more people to buy into it. As a fan of American Eagle on Facebook, I stumbled upon a video on my news feed promoting American Beagle Outfitters, a clothing line for dogs. I thought it was an interesting idea, as there seems to be a new trend of dog owners dressing up their pets. I even told my parents about it. It was not until reading an article on PR Daily that it occurred to me that it was a hoax. This day of pranks allows for brands to let their creativity shine through on social media outlets, and many of the products were imaginative ideas that most consumers would probably welcome, but would be impossible to produce. For instance, Domino’s UK tweeted a picture of a Domino’s “Edibox,” a pizza box that instead of being made of cardboard, is entirely pizza crust, with the tagline: “Why think outside the box, when you can eat it?” Another clever post was Tic Tac’s announcement on Facebook of a pack dubbed “Tic Tac Shakeless,” that claimed to be engineered to prevent people from shaking their Tic Tac boxes, so others would be less likely to notice and ask for a mint. Taking advantage of a unique day to allow for clever utilization of social media is a smart way to gain publicity. Most of the joke products didn’t seem so authentic that people truly believed them, but if executed well, they seemed to be almost believable enough to get some consumers wondering. Best of all, they get people talking. In the instance of American Eagle, fan response to American Beagle was so high that the company now claims to be offering a limited edition line of dog clothing this fall. They also took advantage of the gag to promote a good cause-the video leads viewers to a page where they can donate to the ASPCA. It’s good to know that I was not the only one who fell for their joke! Allison is a sophomore communication interest major with a minor in journalism. Along with being involved in PRSSA-UD, she is a member of the National Society of Collegiate Scholars. Follow her on Twitter: @allisonkuhnouse. ← A Heart Issue: Is PR a force for Good, or Just Another Business Objective?